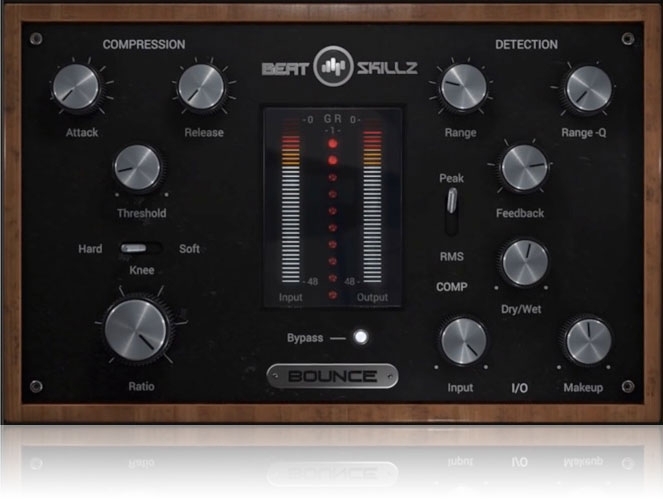 "Add Punch and Motion Beats & Songs"
Many different sound shapes and colors from one plugin! In demo mode the plugin will output silence for 3 seconds every 30 seconds.To register it, you should have a valid license file (bounce.atl). Click on the More button and then choose Registration. A popup window will open, click on Load License File… and locate your license file (bounce.atl).